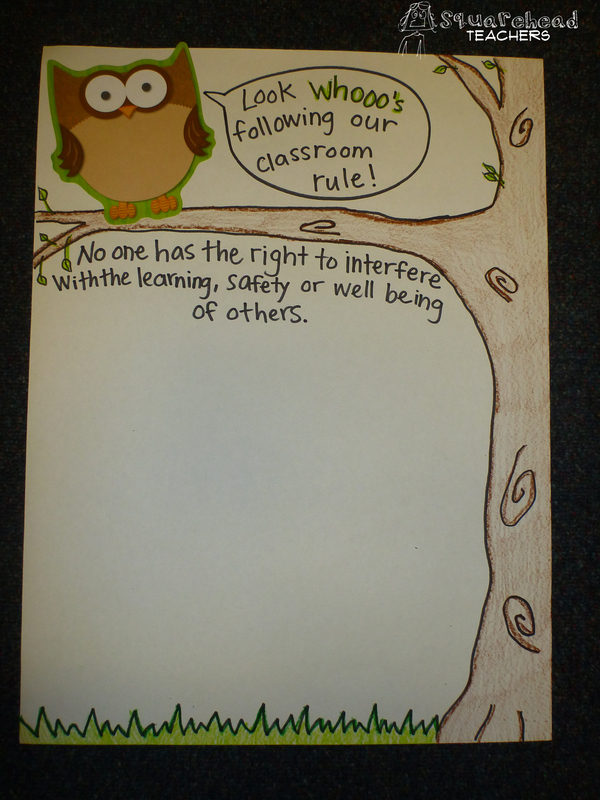 Our classroom rule is “no one has the right to interfere with the learning, safety or well being of others.” Each student will sign the poster and we’ll put it up on the wall so everyone will remember our classroom behavior expectations. This entry was posted in Bulletin Boards/Walls, Classroom & Decor, Management, Student Behavior and tagged behavior, Children, classroom, Education, Elementary School, expectations, Management, poster, rules, Teacher Resources, Teachers, Teaching by Squarehead Teachers. Bookmark the permalink. Oooo! That’s a great rule. It’s amazing how one child can take control and ruin the learning.